A deep penetrating and nourishing moisturizer that supports natural collagen production, while brightening, smoothing, firming, revitalizing the skin while reducing the appearance of any blemishes or uneven skin tones. Due to a low molecular weight, ALLURA can penetrate deeply into the dermis. Thereby, allowing the solution to reach deep into the skin and provide an excellent support to the body's natural collagen production. Our unique formula is packed with all sorts of goodies to brighten the skin. We've ensured that nothing, but the finest ingredients were added to ALLURA's Vitamin C Daily Moisturizer. Works by eliminating Fine Lines, wrinkles, and smoothing out the skin. Additionally, by improving the appearance of uneven skin tone along with adding some firmness to the dermis it will have you looking younger, smoother, and ever so wonderful. Nothing More than Simply the Best! Enriched with Aloe Vera, Jojoba, Green Tea & Vitamin E, ALLORA's Vitamin C Daily Moisturizer will revitalize your skin back to the days of yore. Moreover, Vitamin E is an excellent defender against those harmful ultraviolet radiation rays from the sun, which will help you fight mutations caused by a free radical attack. A wonder of nature right in the palm of your hand! Jojoba Oil acts similarly to Sebum a substance produced by skin glands which allows it to act like conditioner for the skin. It also entraps moisture by forming a barrier around the skin after drying. But, locking in moisture isn't everything that Jojoba Oil is useful for, as it can also eliminate the troubling shiny skin effect by breaking down the skin's own body oils. Additionally, it's been scientifically proven to assist aloe in the treatment of burns and other dry skin conditions like Psoriasis. Truly, a magnificent solution to skin problems. The positive effects of Shea Butter on the skin have made it the ideal solution for all cosmetic products in the market. In fact, the same moisturizes found in Shea Butter are the ones created by the skin's sebaceous glands. What does that mean? It means Shea Butter can provide the same effects that occur in the body... only better! Rich in vitamins and minerals, Dandelion is used to treat skin conditions, muscle/joint pains and is packed with antioxidants. Furthermore, its extract has high concentrations of alkaloids which add to its healing properties by preventing and curing skin-related infections. Additionally, Dandelion is effective in treating acne and helps regulate hormone secretion to prevent blemishes in the skin. As a bonus, Dandelion is useful in dealing with eczema, psoriasis, and numerous other skin conditions. Just don't go out and find Dandelions on the field, we've already gone through the trouble for you! Grown in the vast fields of North America, Horsetail is a staple of American soil. Horsetail stands out by containing acids and silica in higher quantities than other herbs, it's also known for its penetrating capabilities which are certain to reach deep within the dermis. Silica is a form of Silicon (not to be confused with Silicone) which is essential to a healthy lifestyle. Certainly, you could go out into the plains and grab some Horsetail, but why risk getting a kick to the face, when our formula already took the risk for you? Fortified with essential fatty acids like oleic, palmitic, linoleic and steraric acid, Sunflower Seed Oil is the perfect agent for adding firmness and tightening the skin. Sunflower Seed Oil promotes a healthy looking skin that is soft, smooth and easy on the touch. Rich in Vitamin E, it's also one of the most crucial skin protecting agents in our moisturizing cream, but don't forget that Vitamin E also helps in smoothing out wrinkles. Furthermore, Sunflower Seed Oil is known to reduce the appearance of any Fine Lines. ALLURA has superior absorption properties due to its low molecular weight allowing it to better penetrate the skin & support natural collagen production. Smoothes, firms, and improves the appearance of uneven skin tone along with fine lines and wrinkles. With Aloe, Jojoba, Green Tea & Vitamin E helps revitalize the look of skin while helping to fight free radical attack. Apply a dime-sized amount to your face each day and/or night, depending on your skin type. All, ALLURA Vitamin C Daily Moisturizer is made with all-natural ingredients, and not only does it work to nourish and re-hydrate your skin, it does so without adding any harmful chemicals. This product is so amazing! I'm so happy to receive this product. my face is so smooth, moisturized and less puffy since applying it and this is my go to product forever! Thank you beryl natural for making amazing product. I love what this moisturizer has done for my skin. It is bright instead of dull. It even works well with oily skin! Love this moisturizer. It’s clean, light and fresh on my face and my skin just drinks this in. I originally purchased the Vitamin C serum with Beryl and loved it. 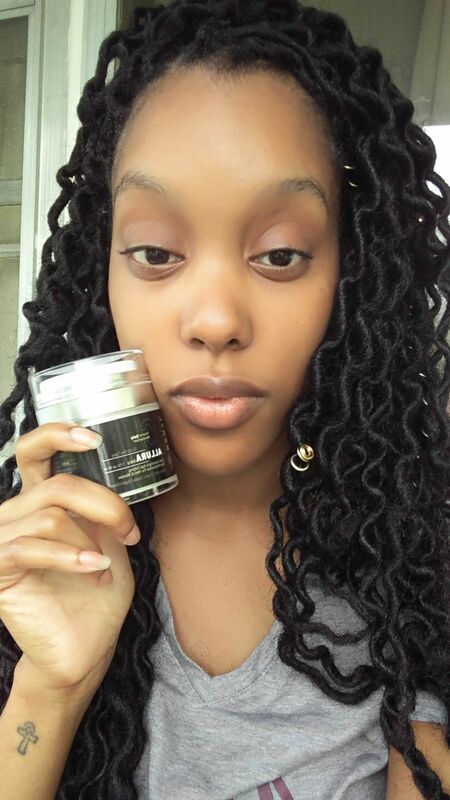 The company’s co-founder Dee reached out to me to see how I was enjoying the product. I replied back to her and also asked for a few suggestions on what I could add to my skincare routine. Honestly, I didn’t expect a reply back. I was pretty excited to see that not only did Dee reply back to me (and within an hour, to boot) but she answered all my email questions and made some great suggestions on what I could incorporate in my routine. To see someone so knowledgeable take time out of their day and basically give you a step by step of how to care for your face is pretty great. For that alone, I love this company. I went back and purchased the Hyaluronic acid Serum, the Retinol moisturizer, and the charcoal face wash. So excited to know so much time goes into these products. Customer for life. 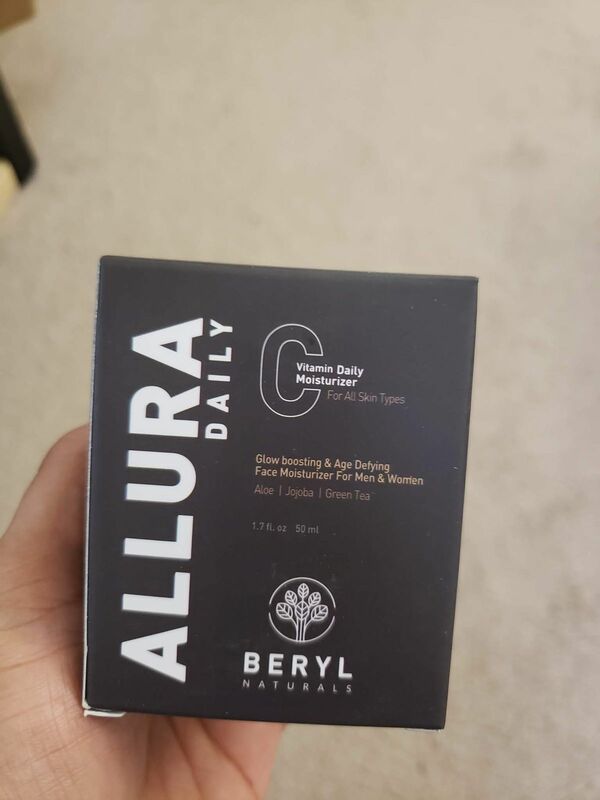 I actually tried the Beryl Eye Repair Formula, that also contains Vitamin C and love that after just one week, I am beginning to see some improvements in my fine lines and puffy eyes. 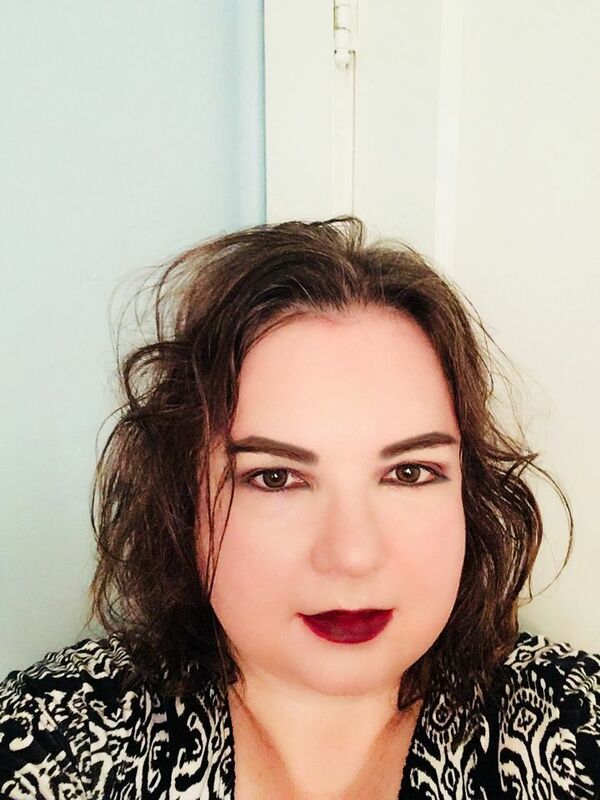 I can't say that my puffy eyes have totally disappeared, but I do see improvements in how they are less puffy. The jar has this neat top where you just push down and it dispenses the product, making it easy to control how much you use. My eyes seem a little brighter and don't seem as dull as they used to be. So far, I'm loving this product.